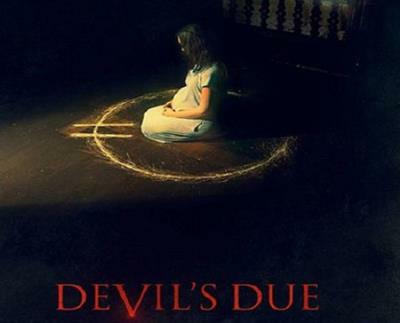 The movie Devils Due opened in theaters 1/17/2014. 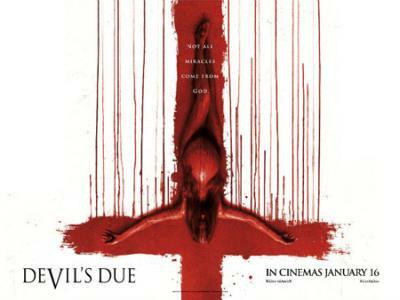 It is yet another Satanic horror movie about the birth of the anti-christ. 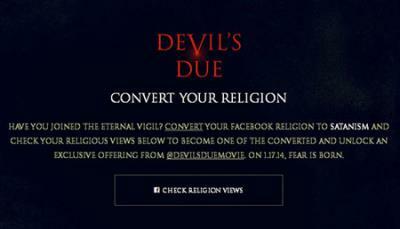 The interesting part is that on their official website is there is a section called "covert" where you can convert your Facebook religion status to Satanism. Doing so you will receive an "offering". I'm not sure what the offering is because I'm not changing my status to being a Satanist, but I can't imagine it's anything good for me. This is not just entertainment it's indoctrination. It is a conscious effort to push the Illuminati Occult agenda. It is becoming more blatant and envelope pushing. Can't wait to see what's next - not.